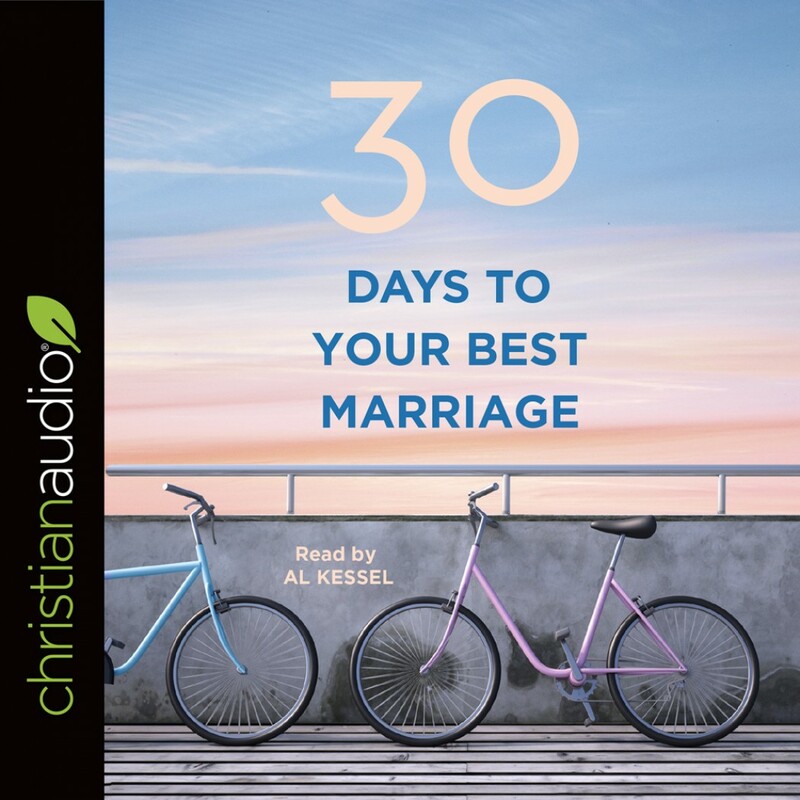 30 Days to Your Best Marriage | B&H Editorial Staff | Audiobook Download - Christian audiobooks. Try us free. Marriage is great, but marriage is hard. A continual learning experience. An up-close, totally exposed, nowhere-to-hide sharing of life’s everythings—the good and the not-so-good—where the real you becomes really known. Even to yourself. And where grace and forgiveness, both given and received, are able through God to become more raw and redemptive than you ever thought possible. 30 Days to Your Best Marriage is a prime way to keep your relationship growing and thriving. It provides the kind of spiritual connection point that helps you walk hand-in-hand together, traveling through Bible verses that focus on the covenant of marriage and the impact God intends it to create on each of you, individually and as a couple. After 30 days of focusing on your marriage through the lens of Scripture, you’ll begin to experience a new joy in doing life together.